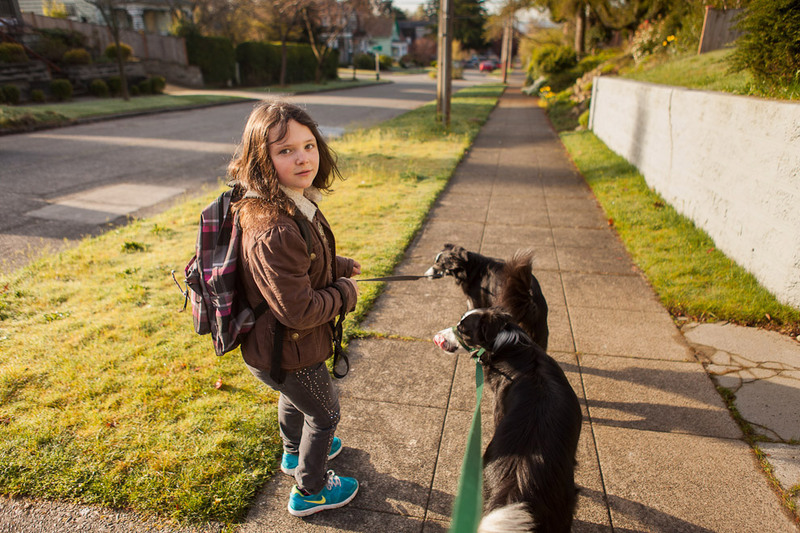 Claire on the way to Salmon Bay School. 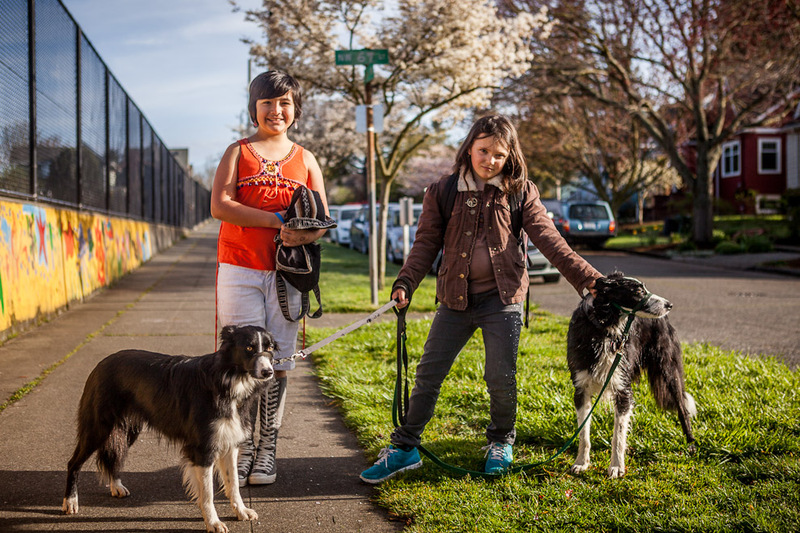 Every morning we walk the border collies Luna and Charlie to school. It is a good time to get some exercise for us and the dogs and also a good time to talk about stuff. Here we met up with her friend Clara. This entry was posted on Friday, October 26th, 2012 at 10:20 am	and is filed under LIFE and tagged with Seattle Photographer, Seattle Photographers. You can follow any responses to this entry through the RSS 2.0 feed.